Scorching hot weather set the conditions for Greece's wildfires—Europe's deadliest this century with scores killed—while record temperatures in the north of the continent have also sparked blazes causing widespread damage in recent days. 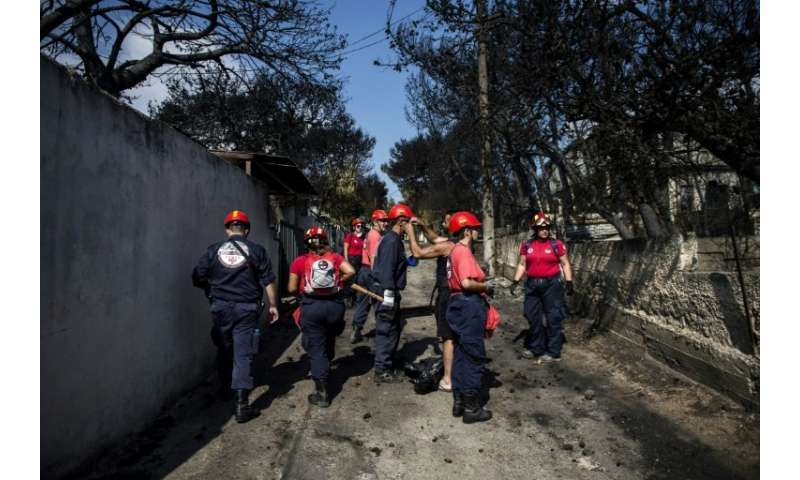 Ten EU countries have mobilised firefighters and equipment to help battle the fires in Greece as well as Sweden and Latvia. Here is a roundup of the devastation. The fires in Greece, which broke out Monday, are the deadliest in living memory. At least 82 people have been confirmed dead, while emergency crews were Thursday searching incinerated homes and vehicles for at least 27 missing, who include nine-year-old twin girls from the village of Mati. Coastal villages near Athens popular with holidaymakers were especially hard hit, with at least 300 homes destroyed or badly damaged. Sweden, experiencing an unprecedented drought and the highest temperatures in a century, is battling 23 fires across the country, down by half since last week. The fires have laid waste to at least 25,000 hectares (62,000 acres) including 13,000 hectares in the central Karbole region alone. Temperatures are still rising, with Pierre Schaller, the head of a French contingent helping the Swedes, telling AFP that with Thursday's predicted high of 34 degrees Celsius (93 degrees Fahrenheit) the fires could "take off again". But cooling rains are forecast for the weekend, when two Italian water-dropping aircraft that were deployed in Sweden last week will head to Greece, Swedish authorities told a news conference. A Belarusian helicopter was headed to Latvia on Thursday to help Latvian and Lithuanian firefighters battle a blaze that broke out on July 17. 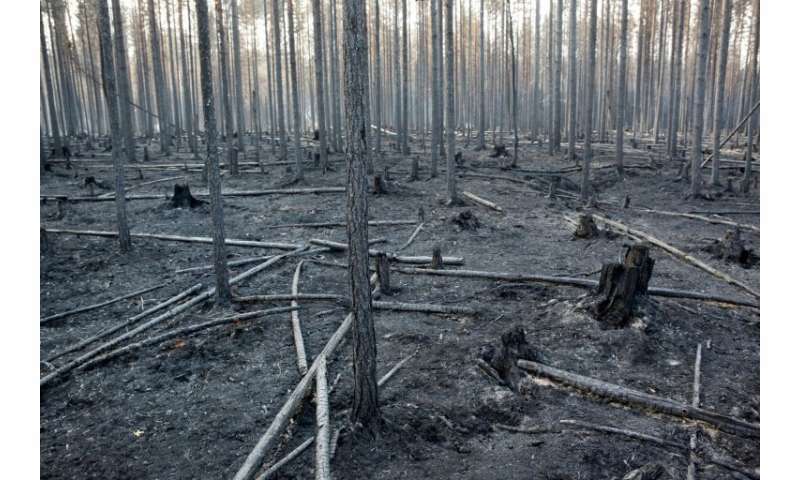 It has ravaged around 1,000 hectares (2,500 acres) of peat bog, forest and scrubland in the west of the Baltic state but has not claimed any lives. 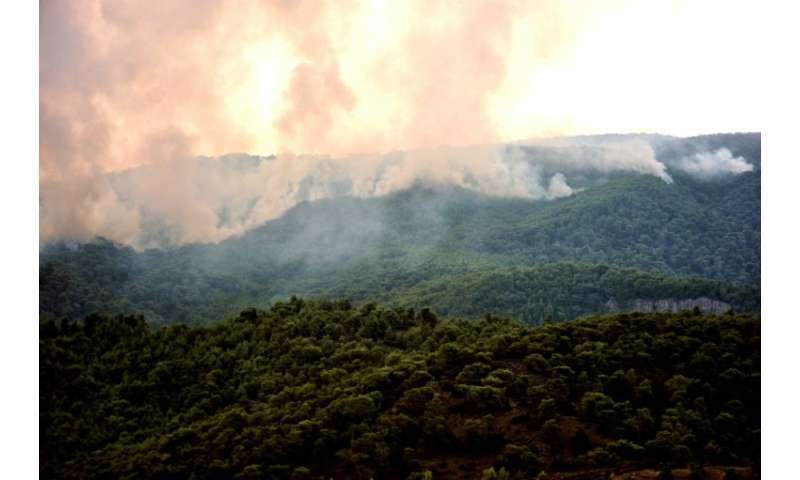 Latvia has turned to neighbouring Belarus for help because EU resources are stretched fighting the wildfires in Greece and Sweden, according to the local Baltic News Service BNS. Britain has been in the grip of its longest heatwave in decades, sparking wildfires in northwest England, water restrictions in Northern Ireland and record-breaking temperatures in Scotland. 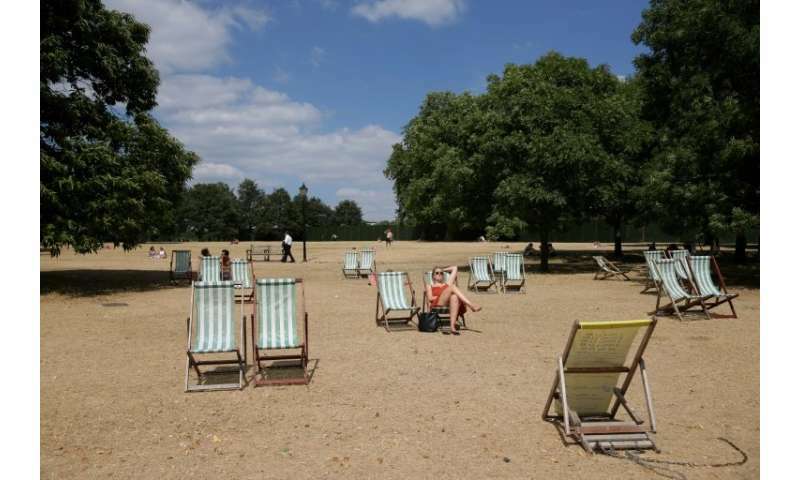 Sun worshippers in London's Hyde Park lounged in deck chairs set out on parched grass. The city's fire chief Dany Cotton remarked: "I never thought I'd say this, but we are praying for rain." A new British temperature record may be set on Friday, topping the 38.5 Celsius (101 Fahrenheit) registered in Kent in August 2003. With just 47 millimetres (1.8 inches) of rain recorded in Britain between June 1 and July 16, fire chiefs have warned that parks and other grasslands are like a "tinderbox". The Dutch meteorological institute on Thursday officially declared the Netherlands' first heatwave in three years, with the mercury hitting 36 degrees Celsius (97 Fahrenheit). The spell has lasted 12 days, making it the sixth longest heatwave since 1901. Authorities are planning for water shortages in several parts of the country. In Norway, which experienced its hottest May temperatures on record, one firefighter was killed on July 15 while battling one of a string of fires. Unaccustomed bikini weather has also come to Finland's northernmost Lapland province, the legendary headquarters of Father Christmas.